Can you imagine your life without a comfy bed to crawl into each night? Your dog’s bed should be a haven and a place they can spend a good deal of time. It needs to be sturdy, comfortable, safe and of course easy to clean and resistant to parasites. But what kind of bed should you buy for your dog? After all, people beds come in a bewildering array of sizes and shapes and the same is true of beds for our canine companions. Made of non-toxic materials. 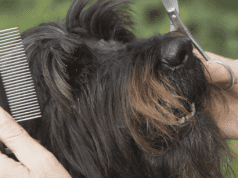 Synthetic products, including stain-proofing and flame retardant chemicals, may harm your dog. 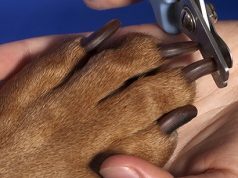 This is particularly important if you dog has sensitive skin or allergies. This is also important for dogs who may chew their bed! When you first bring your bed home give it a good wash to remove any residues from processing. Non-skid bottom. When you canine companion dives into bed the last thing you want is the bed to slide out from under him. A moving dog bed not only poses a risk of injury to your dog but can also become a trip hazard around the home. You can use non-slip matting if the bed doesn’t have its own non-slip base, the style used under floor rugs. Easy to clean. If you have a smaller dog, buy a bed you can throw into the washing machine on a hot cycle over 60°C. This will kill flea eggs and dust mites. If you can also pop it in the sun to dry, perfect. If you can’t wash the bed, make sure the cover is washable or the bed can be hosed off and put in the sun to dry. Warm or elevated. 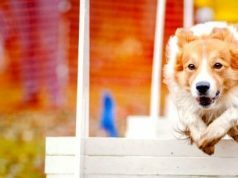 If you live in a cold area or your dog sleeps outside, an insulated bottom or an elevated bed is ideal to get your pet off the cold ground. Water repellent. Many beds have a water-repellent cover, particularly useful for pets that head off to bed after getting wet. You can also keep a collection of old towels to throw over the bed if your pet is a little soggy. Indestructible. This is important that we dedicated an article to reviewing the best indestructible dog beds. Particularly for puppies or those that chew, ensure the bed is tough, there are no parts that can be chewed and swallowed and for the chewers, avoid heated beds! Big enough to stretch out fully. 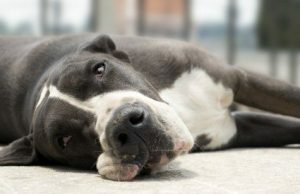 You will need something that will allow your dog to stretch out when it is hot, or curl up when it is cold. 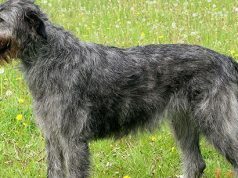 If your dog is young, ensure you are getting something that will fit when he is fully grown. There are many types of beds and depending on whether your dog is old, young or likes to chew you will need a different sort of bed. The type of climate you live in and whether your dog sleeps indoors or out is also a consideration. Older pets. Pets that have old aching joints need to be kept warm. 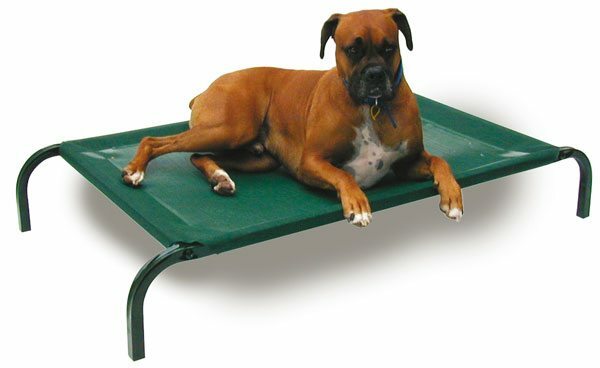 For these pets an elevated bed, heated bed or orthobed are ideal. Ensuring the bottom is insulated also helps if the bed is sitting directly on cold flooring. Warmer climates. Cooling beds are a great idea, or you can pop frozen water bottles next to or in your dog’s bed on hot days. 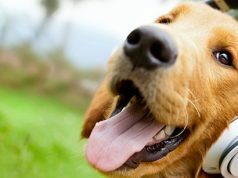 Dogs that have snub-noses like staffys are particularly prone to heat stroke. Hanging wet towels near your dog’s sleeping quarters can also provide make-shift air-conditioning. For larger dogs, elevated dog beds (also called trampoline beds) are ideal as the air can circulate under the bed. Itchy dogs. If you have a smaller pet make sure the entire bed is machine washable and not treated with any chemicals. Avoid washing detergent or use a very small amount of hypoallergenic detergent and wash on a hot cycle (over 140°F) each week. For a larger dog a trampoline dog bed that can be hosed off and put in the sun to dry will be relatively low allergen. Consider getting two beds so you can rotate the beds and wash the bed on a weekly basis. Dust mites and fleas are the most common concerns relating to bedding that can cause allergies in pets. Kennels and crates. If your dog sleeps outdoors in a kennel, you will need to make sure it is easy to clean. Avoid a carpeted floor, unless it can be removed and washed. Carpet would need a good vacuum, hose and to be put in the sun to dry. Wooden kennels can easily get damp, harbour mites and other creepy crawlies and end up very dirty. Kennels in hot climates also need to be in shade and well ventilated. 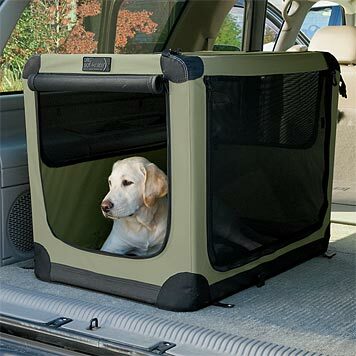 Crates are very easy to clean and can mimic a ‘den’, providing a safe haven for your dog. They are easy to move should you need to and can be used for car travel. You also then have an area you can secure your dog at night or when guests are visiting. An old blanket or towels that can be washed weekly on a hot cycle are ideal for the base. Read our article on puppy crate training for some useful information on how to crate train your dog. Mattresses that can’t be fully washed. Washing the cover is not enough to get rid of fleas and dust mites. These creepy crawlies live in furnishings like mattresses, carpets and cushions and are a common cause of allergies and dermatitis. Some covers such as Gore-Tex are resistant to fleas and dust mites, often by having a very narrow weave, but most regular mattresses are not protective and over time they will become smelly, dirty and harbour all sorts of creatures if they can’t be properly cleaned. Beds with straps, buttons, zippers or piping. Particularly dangerous for those dogs that like to chew. Too much fussy detail can attract the attention of a destructive dog and anything that can be pulled off has the potential to be swallowed and form an intestinal foreign body. 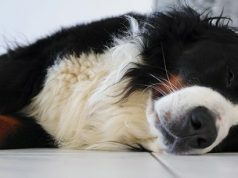 You should also avoid cooling or heated beds that have batteries or an electricity connection if your pet likes to chew! Wooden beds and kennels often have a finish or lacquer on them that can be toxic when chewed. Wood also has the potential to harbour mites and can absorb the damp and go mouldy. 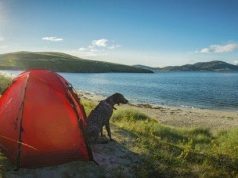 Whatever the sleeping quarters you choose for your beloved friend, remember that this is going to be a place that your dog could potentially spend up to 18 hours a day sleeping (half his luck!). Choosing something comfortable, safe and durable that is easy to clean is your priority. Sometimes it is worthwhile spending a bit more to make sure it will last and be resistant to common parasites. 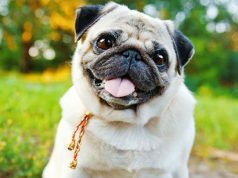 Bloat in dogs is a common and often fatal emergency. 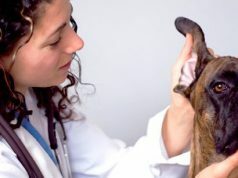 There are ways to reduce the risk and recognizing the symptoms early could save your dogs life.